Non League Yorkshire has interviewed countless managers in the past five years and developed many excellent face-to-face relationships. Now we hear from a blast from the past. 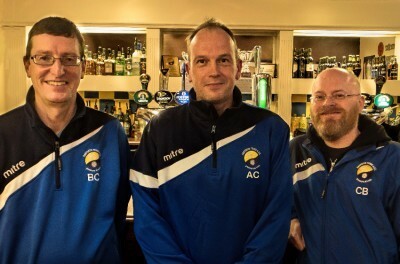 Former Garforth Town chief Adrian Costello is living the dream. 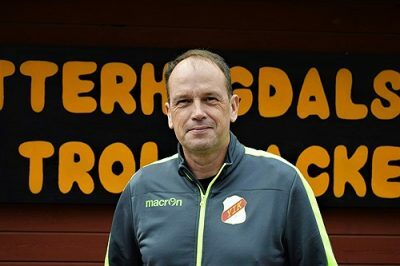 He is the manager of Ytterhogdal IK, a full-time fourth tier Swedish side and he’s already defying the odds – following in the footsteps of Swansea City boss Graham Potter, the now legendary former Ostersunds IK manager, who took his side from the fourth tier of Swedish Football to the Europa League last 32. Being a professional football manager is so far the pinnacle of a management career that began by pure accident. Costello was a soldier, turned Police Inspector in Humberside, who “fell out of love with the game when he was 29”. He was only enticed back into it in bizarre circumstances after taking his daughter to a girls football training session at North Ferriby in 2006, only to end up running the session after the ‘coach’ said he was too busy to run it. 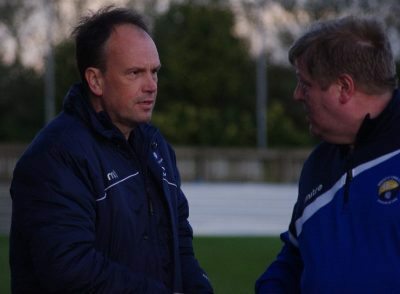 Four years later, he completed his UEFA A-Licence, enabling him to take on responsible coaching positions in academies such as Hull City and York City, plus a stint out in Abu Dhabi as well as the assistant manager at Hall Road Rangers under Steve Richards, before his seven-month tenure at Garforth two years ago. “This is truly a dream come true,” says Costello. “Being the manager of a football team who are full time and play in the 4th tier of Swedish football was something that I couldn’t really turn down. “We are full time with some of the best facilities in Sweden and I would guess better than most teams in the UK, bar the top teams. We have a grass pitch, two full size and a five-aside grass training pitches. “The club has a gym which our full time physio/sports conditioner puts on 2 sessions a week for the lads, a swimming pool which we use for recovery and an indoor hall which we use in the winter for fitness and recovery. “At 16 when I joined the Army and then 13 years later joining the Police I could never imagine I would be involved in full time football management/coaching. “I always tell the players here that to achieve you have to work hard, have talent and a little bit of luck. I know I work hard and have certainly had my fair share of luck with getting this job. If I have talent that is for others to decide. The parallels with Potter and Costello are clear. Potter was manager of former NCEL side Leeds Carnegie before taking on the Ostersunds job. Costello even sought the advice of Potter and his assistant Billy Reid prior to accepting the offer from Ytterhogdal. “Graham did an absolutely incredible job here in Sweden,” he says, “taking Ostersunds from the fourth tier to the first tier, winning the Swedish Cup and the whole Europa Cup run last year was brilliant for Swedish football and Ostersund FK. “But, I really didn’t give it much thought about Graham being an inspiration rather than this is my opportunity to have a go at something I wouldn’t get chance to do in the UK unless I am successful here. “I had a meeting with Graham and Billy Reid when they were still at Ostersunds. “They had taken Ostersunds Fk from our current division to the top division in Sweden. They told me that I should be recruiting players who were capable of playing Non League at Step 2 or the top of Step Three if we wanted to get promoted. With a predominately British squad, which includes Swansea striker Oli McBurnie’s brother Alexander, Ytterhogdal have defied expectations and with four games left Costello and his side still have a chance of winning promotion. “This is the highest the club has ever been in the league pyramid,” he says. “At the start of the season the board wanted just to remain in the league following promotion last season, fourth bottom would have ensured that that target had been achieved. “The press had us as favourites for relegation and actually informed us that they couldn’t see where goals where going to come from. We have scored 51 goals, currently sit 4th in the league, one point from 2nd place with four games to go. 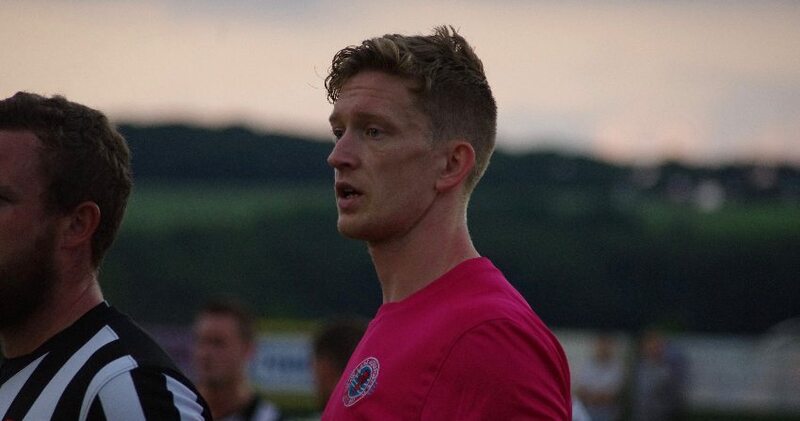 “We have a very good chance of getting into the play offs for promotion to Division One. Something that no-one thought possible except the staff and players. Costello touched on earlier that he would be extensively scouting the Non League system for players and he admits moving abroad can be a good stepping stone, especially for young players. “A lot of the English lads come to continue with full time football hoping to move through the pyramid here in Sweden and I would guess hoping to eventually getting a move back to the UK,” he says. “Saying that, several of the lads have girlfriends here and will be looking to create a future for themselves in this country. It is a good level and players do make the transition. Curtis Edwards started in Sweden with Ytterhogdal in Division Three and now plays for Ostersunds in the top league in Sweden. “Opportunities exist for players to come out and move through the system here or get a move back to the UK. Nothing is guaranteed. Costello says the same applies to managers. Potter started off in the NCEL, moved to Sweden and is now managing in the English Championship. His successor at Ostersunds, Ian Burchnall was managing Pontefract Collieries’ under 19s team seven years ago. He jumped at the chance of moving abroad and has also managed Norwegian side Viking. There are other examples. Two current NCEL managers spring to mind when you look at those with potential of reaching the Football League, but in England, opportunities are few and far between. Their chance at managing a professional side may never come. “As foreign managers move to the UK, English managers, if they want to manage may have to move into Europe and beyond,” Costello says. 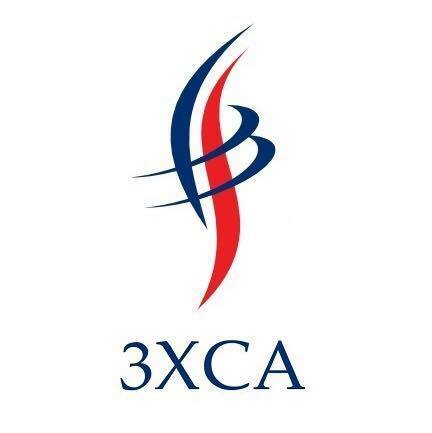 “Opportunities exist here and across Scandinavia, but people need to grasp the opportunity with both hands, take a little risk and go for it, understanding that the money here is not the same as the vast amounts paid to players, coaches and managers in the UK. Costello is best known in Non League circles as the manager who replaced Graham Nicholas at Garforth in November 2015. But Costello’s A-Licence badge, plus his experience in Academy football and his networking skills made him a smart appointment. Contacts he definitely needed as six players had followed Nicholas to Ossett Town and more were set to leave until Costello’s instantly likeable personality persuaded a number to stay on. “I am always up for a challenge but the situation I found was probably the biggest challenge I have ever had,” he says. “No team, no assistant manager but what I did have was two owners who believed we could turn it around and loyal supporters who because of what had happened (prior to taking charge) would forgive me for anything I did that season. “I loved Garforth Town, the whole experience was fantastic, despite being challenging. “It is no secret I had to rebuild a team following Graham (Nicholas) moving to Ossett Town and the main man in the whole of that rebuild was (assistant) Rob Hunter, the current manager. His first week was certainly a whirlwind. He had to sign a number of players so they could play against Parkgate – his first game in charge – to be eligible for a West Riding County Cup tie against Armthorpe Welfare. Memorable moments such as getting Pickering Town manager Paul Marshall out of bed to sign a player occurred. But all the rushing around was in vain as the Parkgate game was called off because of a waterlogged pitch. It left Garforth with nine players for the Armthorpe game. Fortunately he was able to persuade two players to come from the cold and the patched-up Miners outfit incredibly won 5-0 – now remembered as one of the club’s greatest ever wins. “I remember arranging a meeting the day after I was appointed to speak to the players and I was very surprised in how little players were left,” he says. “The first game on the Saturday was cancelled due to weather and the first game i actually took charge of was a County Cup game. 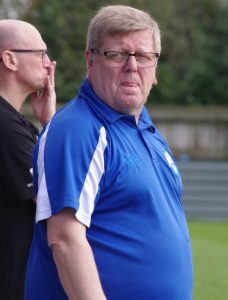 “I had 11 players who were registered with the club, two of whom had not played all season and they had some strange bloke on the phone begging them to play on a Tuesday night against Armthorpe. “Play they did and although we had no substitutes, no assistant manager, just myself and Paul (Cavell) the physio and we steered them to a 5-0 win. It certainly was a big one. Garforth would only win four times in the league under Costello, who literally had to build a new side midway the campaign, despite some fine displays. Garforth plummeted down the table, but with the efforts of Costello and Hunter, plus the heroic on-field performances from the likes of Mick Jones and Curtly Martin-Wyatt, the Miners survived with two games to spare. “In hindsight, I should have asked Rob Hunter about a month earlier to come on board (as assistant manager),” he says. “It was a strange time because of the situation, but we still played some fantastic football. I remember the home and away games against Tadcaster who won the league at a romp that season. Many were surprised when Costello resigned shortly after the end of the 2015/16 season, but a full-time post with the FA beckoned. Hunter took on the mantle and he has done a great job, according to Costello. “Rob has done a fantastic job of continuing the rebuild at Garforth,” he says. “I follow everything that goes on in Non League in Yorkshire and follow Garforth on Facebook and Twitter. “I have been to watch a few times and will do when I return next month. “Everyone knows that Rob has not got the budgets of some of the so called bigger clubs, but with what he has got he has achieved more than could be expected. Given how his coaching career has developed, there’s bound to be more headlines to come from Costello.